Here's my little peanut, Caroline, dressed up for her first Halloween! Caroline is my brother's baby, and lives in another state, so I don't see her very often. Fortunately, I get lots of pictures of her!! This is based on the sketch at C'est Magnifique this month. 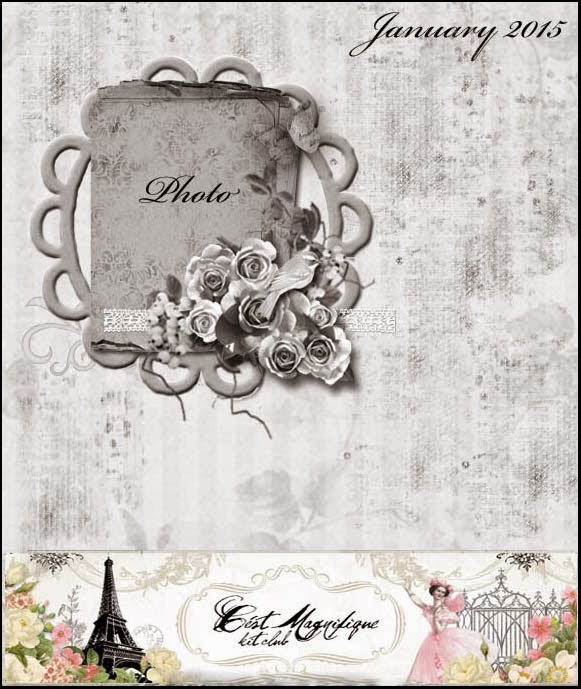 Very cute take on the January Sketch at C´est Magnifique Kits! Thanks for playing with us this month! Great take on the sketch! Superc cute! Thanks for entering our january challenge at Cést Magnifique!